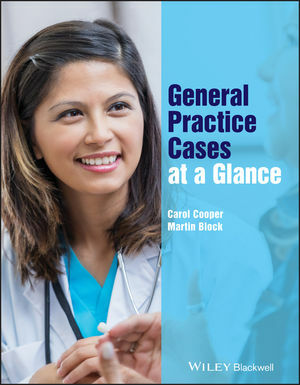 General Practice Cases at a Glance is a workbook of clinical scenarios, ideal for those working in general practice, on their GP rotations, or looking to improve their history-taking, diagnostic and management planning skills. Written by practising teaching GPs, it provides an accessible overview of the richness and complexity of general practice. With 50 engaging consultations, covering all age ranges and a broad spread of clinical areas, each symptom-based chapter begins with the clinical presentation of a patient, before going on to uncover the full history and examination. As you work through each true-to-life case, there are red flag symptoms, useful charts and tables, and further resources to deepen your knowledge. Carol Cooper is an Honorary Teaching Fellow within the Department of Primary Care and Public Health, Imperial College London, UK. She is also a General Practitioner. Martin Block is Programme Director, Imperial GP Specialty Training and GP Partner at Clapham Park Group Practice, London, UK.